Get in touch with the Multivista team to learn more about global franchise opportunities. We’re interested in hearing more about your business objectives, and discussing how a partnership with Multivista might help you reach your goals. Contact us anytime for information. 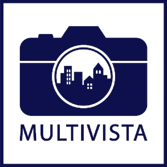 The materials on this website regarding the Multivista franchise opportunity are for general information only and are not intended to be the offer of a franchise to anyone accessing this site. Offers and sales of a franchise are made only after the delivery of an effective franchise disclosure document in compliance with applicable federal, state, and provincial law. By submitting your contact information, you consent to a Multivista representative contacting you.